The siding on your home is important. When it's time to consider replacing it, there are many great options available today. You aren't stuck with the same old brick, rock, or wood siding. Covering these old materials with new siding results in long-lasting, beautiful results. Good quality siding is important because it lasts longer. You don't have to repair or replace is as often because it does a much better job of standing up to destructive elements. 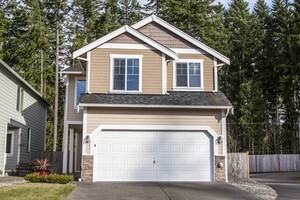 Vinyl siding is a great choice. Vinyl hits the top of the list as a siding material because it is durable yet affordable. It is impact resistant and flexible. You can get vinyl siding that is specifically meant to be painted when you know you are going to want to match a certain color. Otherwise, the vinyl options will all be manufactured with color infused into the material. This makes it tough as well as resistant to fading and dulling. Vinyl is made of PVC. Composite vinyl siding is available as well. It comes in the most selection of decorative patterns and colors. It does no good to get great siding if it is improperly installed. It needs to be installed perfectly or the exterior won't be sealed against moisture. 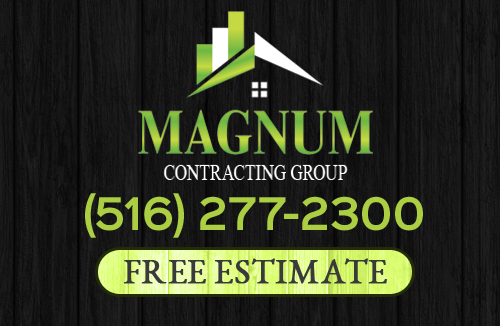 As the Long Island roofing contractors of choice, our professionals at Magnum Contracting Group provide the best installations. If you have a home in any of our service areas, give us a call. We can take care of your storm damage repairs, all your vinyl siding needs, and more. If you need Long Island Siding installation or replacement, please call 516-277-2300 or complete our online request form.